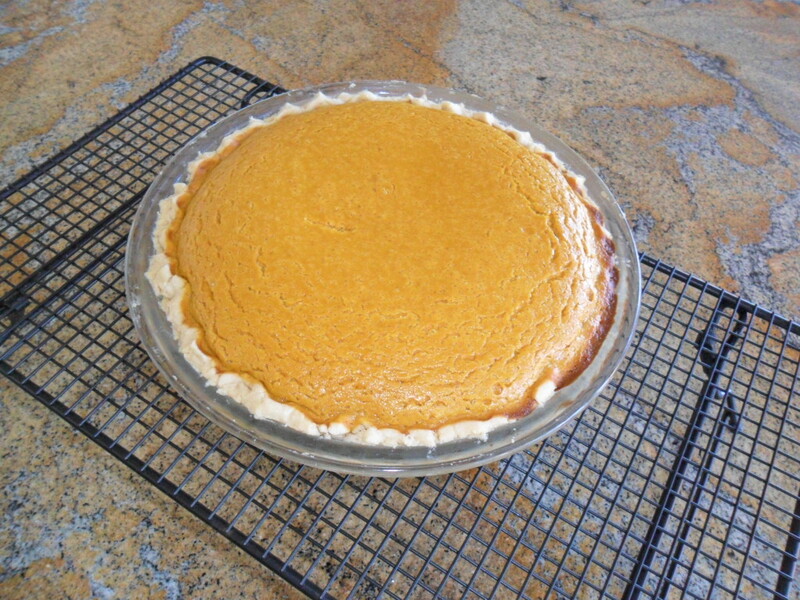 Today, Thanksgiving Day, I will make Barbara Duke Lightle’s (my mother) pumpkin pie, using a recipe and blender she gave me decades ago. The recipe includes a small hand written note about her preferred way of combining the ingredients. My grandson loves this pie and the idea that what he is eating is a recipe from his great grandmother, a woman he will never know. He tries other pumpkin pies but likes only this one. Dad loved this pie, too. After Mom died and he discovered he was gluten intolerant, he taught himself to cook. He made this for himself sans the crust–pumpkin pudding. Place all ingredients in a blender. Place your hand over the blender cover before starting the motor. Blend just a few seconds, until smooth, and pour into pastry lined pie shell. Bake at 450 for ten minutes, then bake at 350 for 30 minutes longer or until firm in the center. A piece of outer peel of orange can be blender grated into the pie mixture–if you do this, place in blender with 1/2 cup milk and blend fine before adding other ingredients. You may use squash instead of pumpkin. The hand written note says, “Juliana, if you use half evaporated milk it gives wonderful flavor and I like white sugar best”. I use evaporated milk totally and white sugar like Mom recommended. I have never used orange peel. The cinnamon I am using today comes from a tree at my friend’s mother’s house in Ethiopia. This seems a great day to also thank my mother for all she taught me: cooking, singing and playing the piano, a love of beauty–flowers, wildlife, good food, the list is endless. She taught me think positively, to believe in myself, to make the most of what life brings, to never give up. Thank you, Mom!! !